With the food and cooking industry booming, it has never been more important - as much for the quality of your meals as your Instagram account - that your apartment’s kitchen is fully designed and decked out for the purpose of achieving true foodie excellence. Choosing a well-designed kitchen space as your canvas is absolutely crucial. You could have your cupboards and drawers filled with designer kitchen appliances but if the foundations are unfavourable, you will never have the perfect kitchen. The first thing to look out for is ample bench space – island benches are a staple design feature for combatting kitchen claustrophobia. The floor space in the kitchen area is equally important. There should be plenty of room for twisting and turning and preferably some room for a trusty sous chef. With fluidity and functionality ticked off, turn your focus to the kitchen’s design aesthetics. Modern kitchens are almost exclusively designed with fully integrated appliances, creating a unified palette and entirely seamless visual effect. 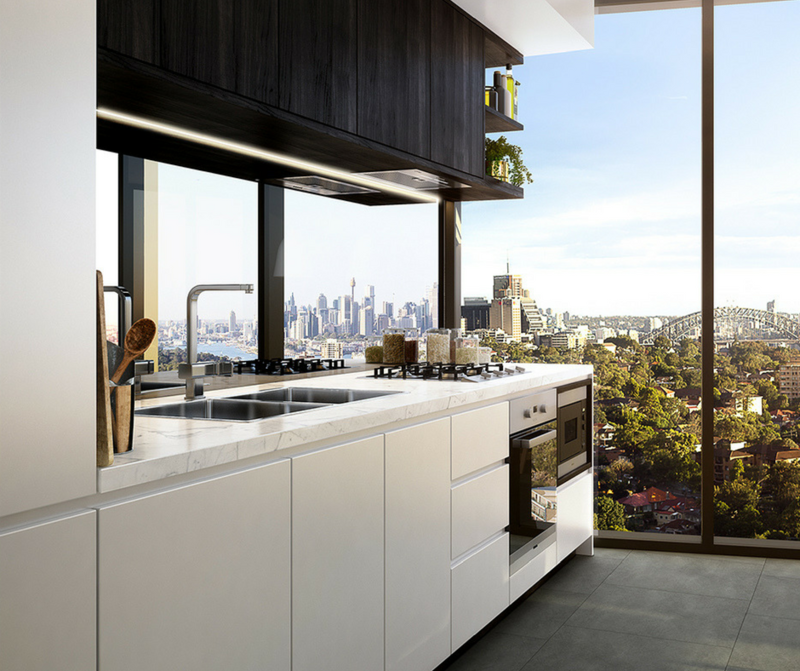 Timber detailing and marble benchtops are the contemporary choice of materials and textures to enhance your kitchen's appeal. If you need help designing your kitchen space, get in touch with Smarter Bathrooms + Kitchens, the experts in high-end, beautifully-crafted kitchens. Any proficient chef will need a large fridge, freezer and pantry to store ingredients and a top-class oven and cooktop to create delicious meals. For the best cooking appliances on the market, browse Miele, Smeg, AEG, Gaggenau and Leibherr – the key is to ensure that all of your units are the same brand and from the same collection. When buying smaller staple appliances such as your toaster and coffee machine, investing in the very best will not only make your kitchen look better but also allow you to make better creations. So don’t just get an average coffee pot. Get a mini barista-style coffee machine and create cafe-style lattes (or mochas, cappuccinos – whatever floats your marshmallows) in the comfort of your own home. And why stop there? Buy a NutriBullet for nutritious home-made smoothies or soups, a fondue set for sophisticated dinner parties and a waffle maker for even better breakfasts. While you’re at it, get a stone mortar and pestle set - even if you don’t crush your own spices, it’ll look great. With the space and tools to get creative, all you need now is the culinary know-how to start producing some delectably Instagrammable dishes. Of course, you’ll find recipes aplenty online to keep you busy all year but there’s something romantic about buying a real cookbook and filling the pages with handwritten notes and splashes of sauce. For a fresh take on natural foods, try the Deliciously Ella recipe book. To bump up your daily dose of health, check out Jamie Oliver’s Everyday Superfood. For some serious schooling, invest in Gordon Ramsay’s Ultimate Home Cooking. And if you love trying new recipes but haven’t the time to shop around for niche ingredients, a recipe and ingredients delivery subscription like HelloFresh could be the answer. 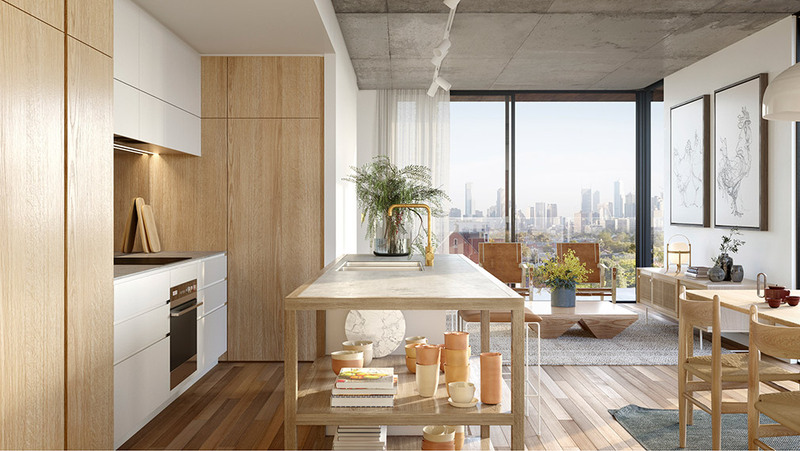 Inspired to find the perfect apartment with the ideal kitchen? Browse our current off the plan apartments now.